My friend Katy Kinard​ is requesting help on launching her fourth album, God of Fireflies. If you like the styles of Sarah McLachlan, Nicole Nordeman, and David Wilcox, then you’ll love Katy’s music. I met Katy online a few years ago when she asked for permission to use a photo of my friend Tom’s Virginia farm for the interior of her Lullaby Hymns CD. She sent me several CDs of her music. She plays the piano and guitar and has a really beautiful voice, too! I’m lending a hand by contributing signed and matted prints for patrons who donate $150 or more to her project! 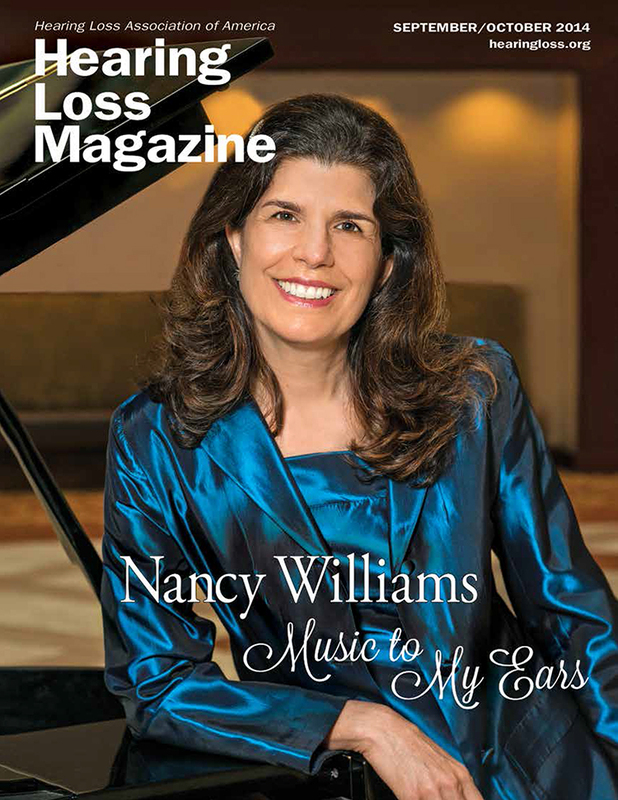 In the September/October 2014 issue of Hearing Loss Magazine (published bimonthly by the Hearing Loss Association of America—HLAA), Barbara Chertok interviews pianist/author/publisher Nancy Williams. I photographed Nancy at HLAA’s Convention 2014 in June in Austin, TX. HLAA Member Barbara Chertok interviewed Nancy Williams, an HLAA member who despite a hearing loss, is an accomplished pianist and much more. Discover what inspired Nancy to reclaim her passions. What caused your hearing loss and when did it begin? Although I wasn’t diagnosed by an audiologist until age six, my parents suspect that I was essentially born with a hearing loss. My loss is genetic, as a result of a mutation in the Connexin 26 gene. For much of my childhood, my hearing loss was confined to the high frequencies, and my hearing in the low-to-mid frequencies was normal. In seventh grade, I was fitted with my first hearing aid, a behind-the-ear model, bulky by today’s standards. In an article you wrote, you revealed you not only denied your hearing loss to others but even to yourself. Now, you tell people about your hearing loss. What brought on the change? I have to credit reclaiming the piano for helping me to be open about my hearing loss. Returning to the piano shortly after my 40th birthday spurred my desire to write about the intimate relationship between music and hearing, sound and silence. I wrote an article for my online magazine, Grand Piano Passion, about how wearing hearing aids figured into my piano recital. After reading that piece, a friend asked me to attend, as a member of the press, a reception by the Hearing Health Foundation (HHF), a New York-based nonprofit funding research for a cure for hearing loss. At the reception, I was elated by the prospect of a cure. For the first time in my life, I was in the company of a large group of people with hearing loss. Shortly thereafter, I joined the HLAA Board. 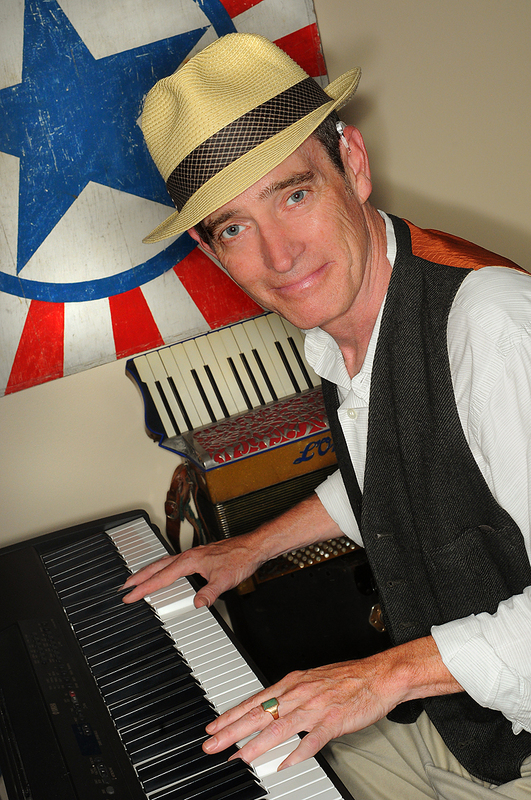 Becoming an active member of the hearing loss community solidified my commitment to write openly about my hearing loss, yet the catalyst was my love for playing the piano. If people question how you can perform on the piano or interpret what the composer has written when you have a significant hearing loss, how do you respond? I am fortunate in that no one has directly questioned my ability to play, although occasionally I have worried that people might be voicing those objections to themselves. I think the best way for me to respond to the potential objections is to simply play, demonstrating to people my love of the piano. The Association of Adult Musicians with Hearing Loss, founded by Wendy Cheng, a violist with cochlear implants in both ears, has a similar strategy. Their recent CD, Hear This!, is an inspiring example of musicians with hearing loss putting forth their music. You claim to have a ‘listening profit’ when it comes to your piano playing. Would you explain that for us? I coined the term ‘listening profit’ as a counterpoint to the much more familiar term ‘hearing loss.’ The act of listening is quite different from the act of hearing. Lindsey Dryden, a gifted filmmaker who is deaf in one ear and created the movie Lost and Sound, remarked in a Grand Piano Passion interview that she often wondered whether she was good on the piano as a child precisely because she was partially deaf. I believe that people with hearing loss listen more keenly and more consciously than musicians without hearing loss. I have found that striving to overcome the disability of not hearing is part of what aids my musicality. Do you have tinnitus [ringing in the ears] and does it interfere with your piano playing? My tinnitus is very mild. I am not sure whether that is because I have worn hearing aids for most of my life and using amplification can help mitigate the symptoms of tinnitus (the Hearing Heath Foundation, where I serve on the board, has a great treatment of this topic), or whether I have just been lucky. Occasionally I hear a rapping sound in my left ear, but my mild tinnitus does not interfere with my playing. You have written about the stigma against hearing loss being real. What do you feel it will take to eradicate this stigma? I think the most important ingredient in eradicating the stigma against hearing loss is for people who are functional in society but nonetheless suffer from hearing loss to be more candid about their condition. That is easier said than done, because our society stereotypes people with hearing loss as slow, out of touch, thickheaded, and unlikely to accomplish much. I know people who work in worlds ranging from music to finance who are unwilling to be candid about their hearing loss for this exact reason. So it’s up to each person to decide how much candor they can risk. Every time someone with hearing loss unveils their condition and asks for what they need, we as a community take another step toward loosening the stigma. I believe we will be greatly helped by our current generation of children, who sport cochlear implant bling and other hearing aid fashions. Do you feel a special kinship with Beethoven because of your mutual hearing loss? Do you hear the music within as he did? I hesitate to answer this question in which Beethoven and I appear in the same sentence. However, he is one of my favorite composers, and the second movement of his Fifth Piano Concerto is about as close to heaven as I am able to get. I have always felt a tremendous empathy for the anguish he must have experienced as he lost both his hearing and the society of those close to him. It fascinates me that we can in a sense hear music in our brain, and that is in essence how Beethoven managed to compose while he was deaf. I am able to hear within my mind the piano music that I study closely. In the years since my hearing loss was first diagnosed, my audiogram has been slowly worsening, such that my hearing loss is now moderate in both ears, sloping to severe in the high frequencies. I’ve tried to consciously develop the skill of hearing within, with the thought that if someday I am unable to hear at all, I still will be able to hear my music. You founded Grand Piano Passion, an online magazine. What is its mission and purpose? Do you use any assistive listening devices when you listen to music? I purchased the Phonak ComPilot, which I use while using my iPhone—the ComPilot pipes sound directly from my iPhone into my hearing aid—as well as for listening to classical piano music on my computer. Listening to music is a big part of my job as the founding editor of Grand Piano Passion, so the ComPilot has been very useful for me when I review albums for my online magazine. You refer to yourself as an ‘amateur’ pianist, yet you have performed at Carnegie Hall. Why is that? In 2012, I took a master class on performance and our final recital was held at Carnegie Hall. Short of my wedding day and the birth of my two children, this was the best day of my life. I got a wonderful taste of the life of a concert pianist. Although I am not a concert pianist in the strict sense of the term, performing [on] the piano is increasingly occupying a larger part of my professional life. I speak on finding your passion, and often my speaking engagements include performing a select repertoire on the piano. By sharing my music, I am able to demonstrate both via sound and emotion just how powerful a passion can be. I presented my workshop “Finding Your Calling… Despite a Hearing Loss” at the HLAA Convention 2014 in Austin this summer. Do you ever choose to learn a piece of music because it falls within the range of the hearing you have in the lower frequencies and not in the higher frequencies where your hearing loss is more significant? The frequency range of a piece of classical piano music is most definitely a consideration for me. For example, the wonderful fioritura, or series of grace notes, which concludes Chopin’s Nocturne in E-Flat Major begins on the second highest C on the piano keyboard, a region where even with my hearing aids I hear mostly the little plunk of the key hitting the key bed. I play these notes mostly by touch. When I studied Debussy’s Clair de Lune, a shimmering meditation on nighttime that is beloved by many pianists, I chose not to perfect the music, one reason being the concentration of notes in the upper end of the keyboard. You returned to the piano after a 25-year hiatus. How much of your former repertoire were you able to retain? When I first returned to the piano, the only note I could remember was middle C, that note on its own line, between the two staffs. I had to count all other notes from middle C. I had forgotten the notes, along with all the repertoire I had studied and performed as a teenager, as a defensive mechanism of sorts against reclaiming the piano. I think many adults carry a passion deep within, and excavating it can take a lot of commitment. I’m happy to say that now I have relearned Debussy’s Reverie, a piece I first performed in recital when I was 13, and now is one of my favorite pieces in my repertoire. When you play the piano, whether for your teacher or in a concert, does it worry you that you might miss hearing a wrong note because of your hearing loss? This is an interesting question because it gets at the distinction between hearing and listening. As a pianist, even if I physically hear myself play a wrong note, unless I am listening attentively to the music, the wrong note could escape my notice. So I think the bigger challenge is to truly listen to the music, both its melody and accompanying harmony. What would you tell a budding pianist with hearing loss embarking on a career in music? There are inspiring examples of pianists with hearing loss, such as Kori Linae Carothers, Jennifer Castellano, and Ricker Choi (whom we have featured in Grand Piano Passion). For people with hearing loss who have a passion for the piano, or any instrument for that matter, I wholeheartedly encourage them to pursue their callings. Passions help all of us to develop the whole person. Many adults find that when they activate long dormant callings, they realign other parts of their life, strengthening their professions, forming new friendships, and even growing closer to their families and the people they love most deeply. Barbara Liss Chertok lost her hearing suddenly in 1957 at age 21 from what was diagnosed 35 years later as Cogan’s syndrome, an autoimmune disorder. She hears with bilateral cochlear implants. She joined SHHH/HLAA in 1979 and is an active member of the HLAA Sarasota Chapter. A former lipreading/speechreading teacher, she is a freelance writer/interviewer for Hearing Loss Magazine. She serves on the National Advisory Board of the American Hearing Research Foundation. Barbara can be reached at barbchert@gmail.com. Back in the summer of 2010, I traveled to Maine for vacation and stopped in Providence, RI en route on assignment to photograph musician Richard Reed for Cochlear Americas. I was really happy with the way the portraits turned out and got some nice shots using my ring light. 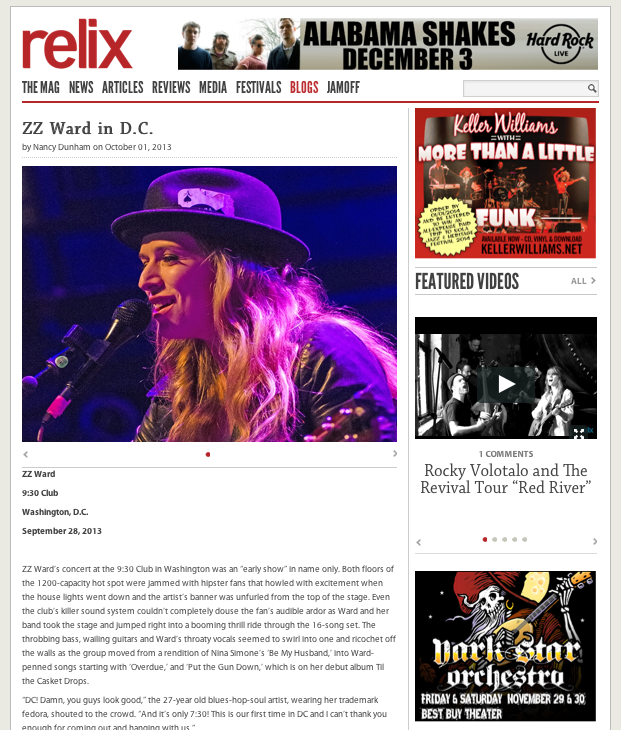 My friend and freelance writer/editor, Nancy Dunham, wrote a great recap about the ZZ Ward concert we saw at the 9:30 Club in Washington, D.C. on September 28. One of my photographs accompanied her article, which you can read on the Relix website here. I photographed ZZ Ward at the 9:30 Club in Washington, D.C. last night with my freelance writer friend/neighbor, Nancy Dunham. She was on assignment for Relix magazine and I’m providing the photos to accompany her concert recap. I was shooting with my Nikkor 80-200 f2.8 and was only about 10-12 feet away from her, so I’m happy with the shots. The color was all over the place due to the gels on the lights. Sometimes she was neutral colored (top photo), the rest of the time she was pink, purple or Oompa Loompa orange—but that’s concert photography for you! Just got back from a really great Kathy Mattea concert at The Birchmere tonight! Thanks again to my friend, Nancy Dunham, we sat in a great spot for me to get shots. Thanks to the lighting crew for spilling a bit more light on stage than they did for the John Hiatt concert last Friday—I was able to shoot at 1600-2000 ISO instead of pushing it to 3200 (plus adding exposure compensation!). I shot with my Nikon D300 and my Nikkor 80-400mm VR lens. Mattea sang many familiar old songs as well as several songs from her newly-released CD, Calling Me Home, about her native Appalachia.